Q: When I was a child growing up in Virginia, my mother always had Wisteria growing around the house. It became one of my favorite plants growing up. I loved the beautiful cascading purple flowers. The highly fragrant and colorful flowers provided a feast for the senses. I have now re-located to Florida and understand the the Wisteria I knew as a child will not flower here in the warmer climate. Is there a vine similar to the wisteria that I can grow here in Florida? A: There is a great alternative to the Wisteria sinensis you knew and loved as a child! 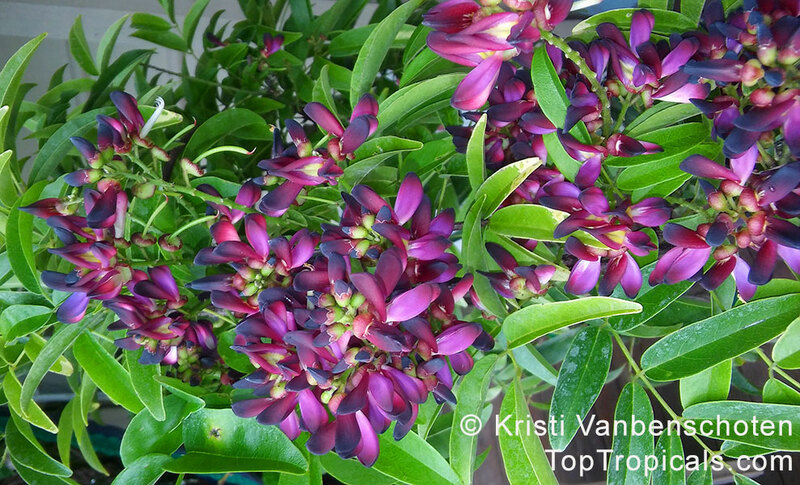 Millettia reticulata - Evergreen Wisteria is a beautiful and highly fragrant vine. Unlike Wisteria sinensis, Millettia is not an invasive plant and can be maintained much more easily. The royal purple flowers completely cover the plant throughout the Spring and Summer.